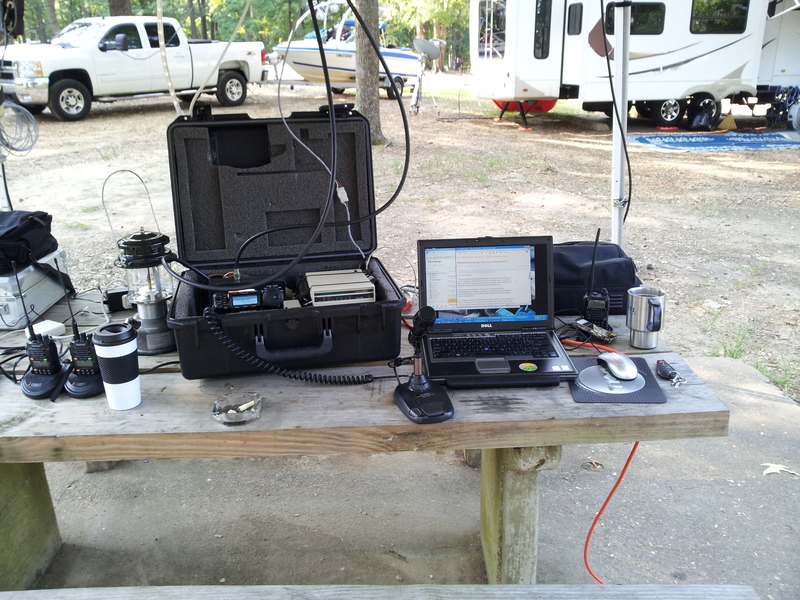 When we go camping, I now have a FT-857 Portable setup. The system works extrememly well. 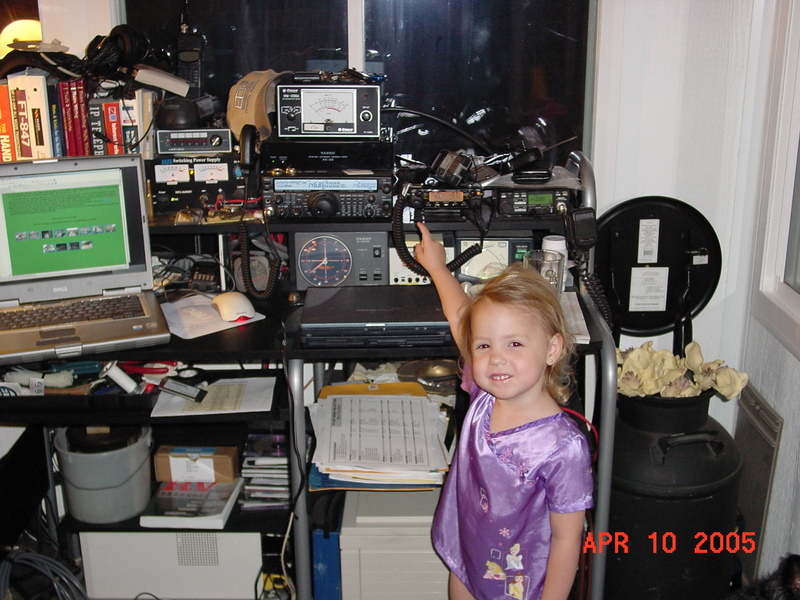 Voice and Data communications are configured on the system. 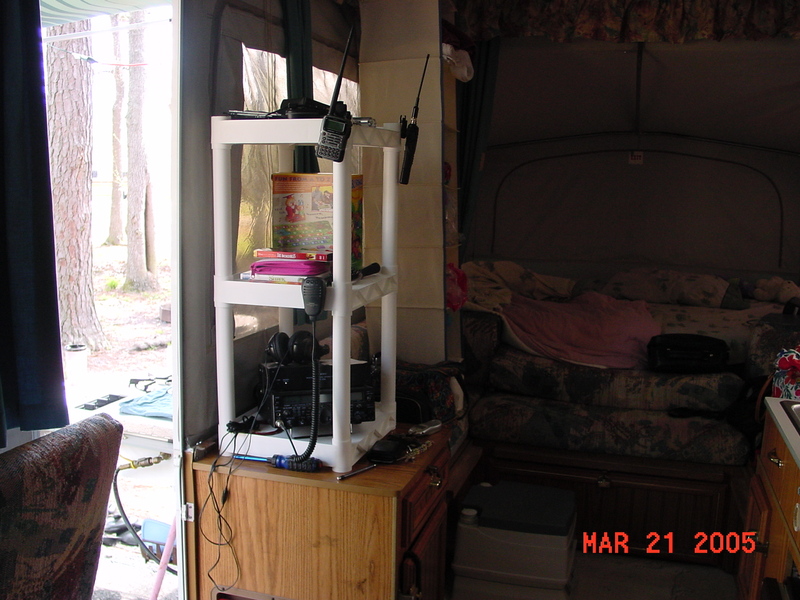 I use an old Comet 2M/440Mhz mobile antenna for vhf/uhf. 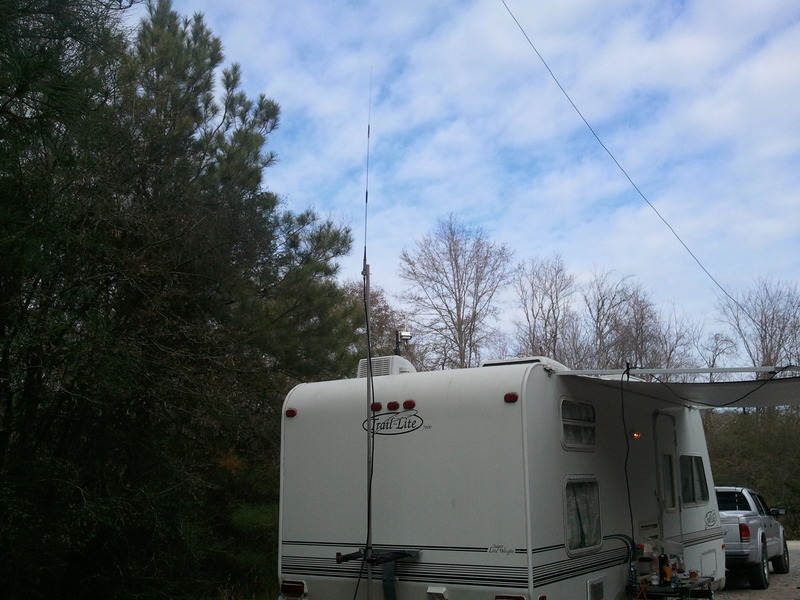 On HF, I use a SGC-230 antenna coupler for 10-160M driving one 74' piece of stranded 14 AWG wire (that I throw in a tree) and another 125' piece in another tree. 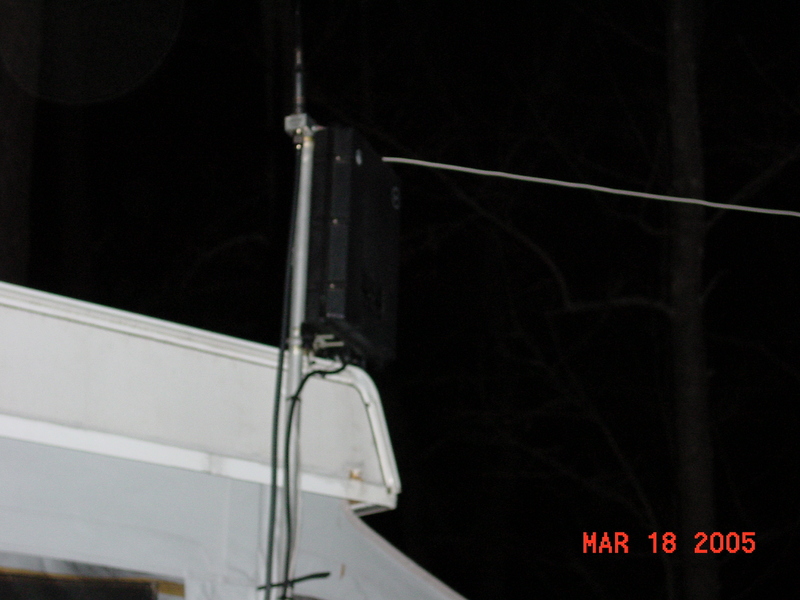 The coupler is usually hung from a tree or lantern support and vhf/uhf antenna is usually velcroed to the easy up. It is easy to put up and take down. So far I usually get S9 or better on the MMN on 14.300Mhz and I can usually get into any repeater within about 30 miles. 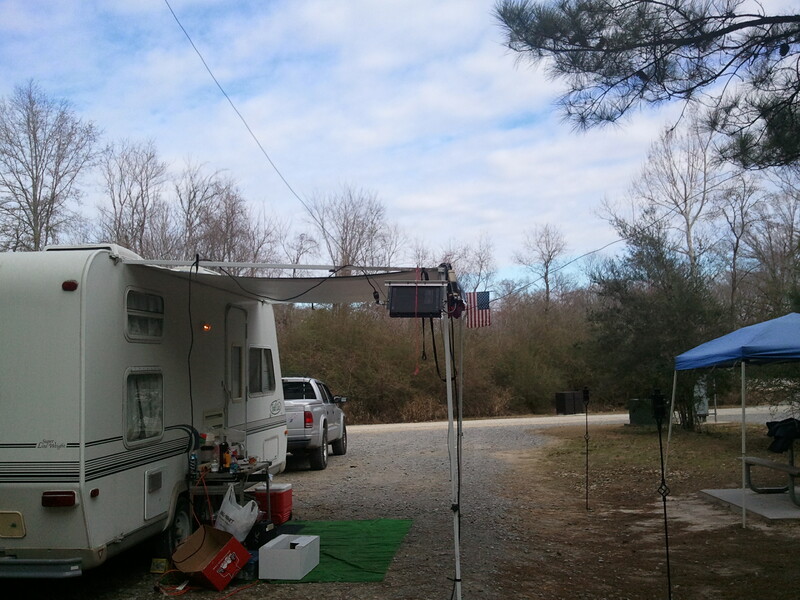 Here are pictures of my old setup from our old pop-up camper. 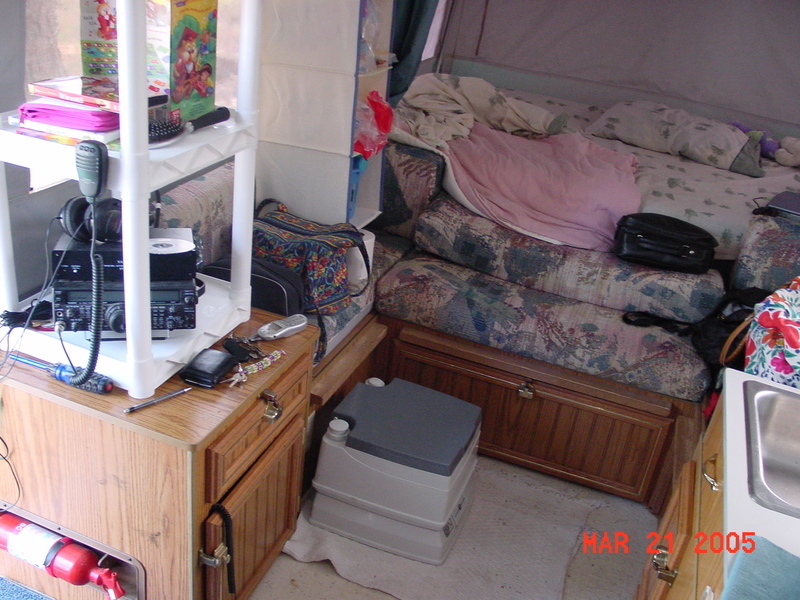 Here are a few pictures of the old house setup. 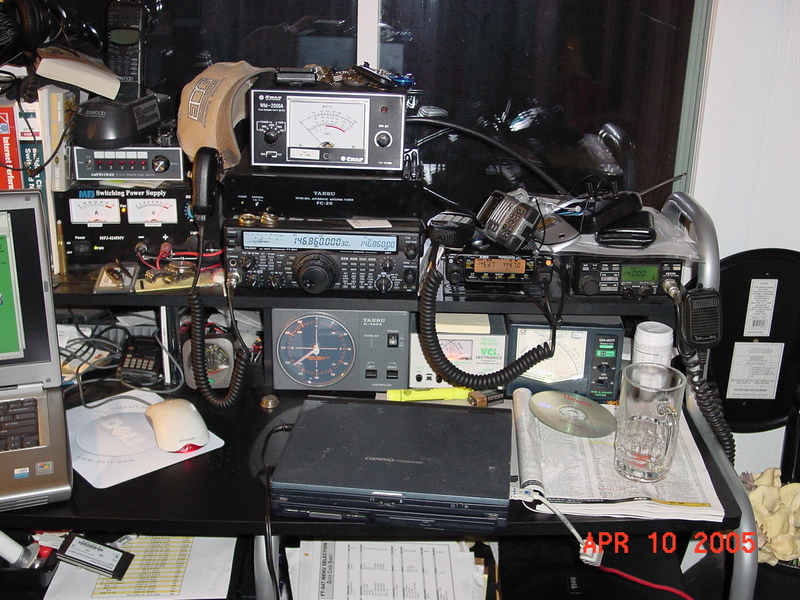 The FT-847, DR-605TQ, IC-38A as well as the meters, rotor control , antenna selector, power supply and tuner. 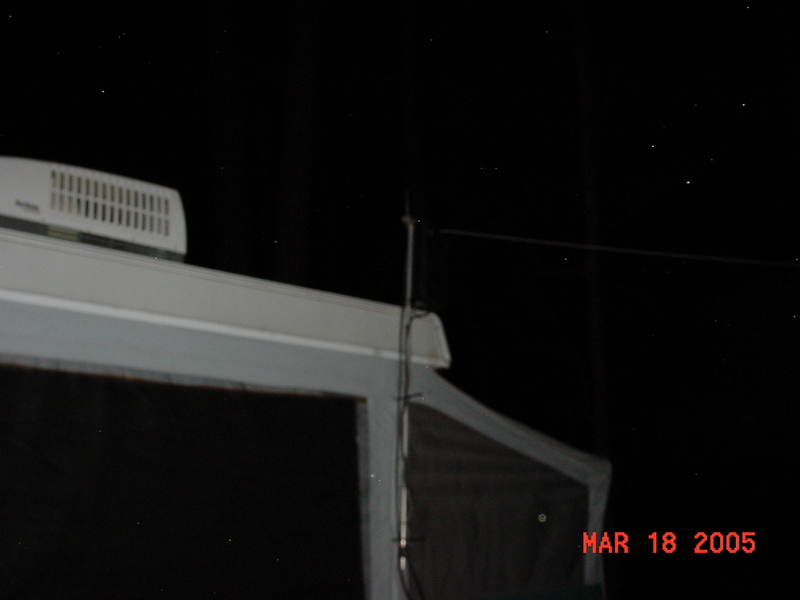 In the first antenna picture, you see (from the bottom up) the HF antenna (a random wire on a SGC-230 coupler), then the 6 meter beam, the 2 meter beam, the 440Mhz beam and the 220Mhz beam on top. 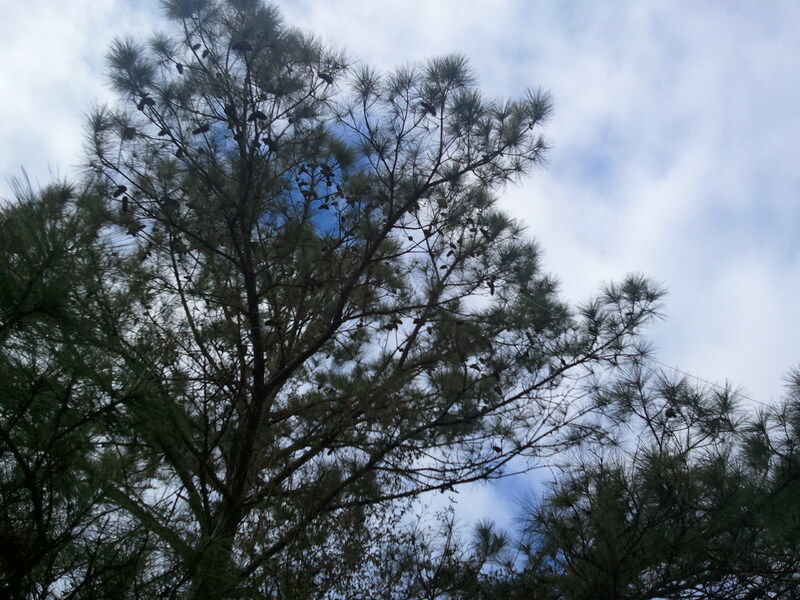 The tower (at the top of the cone) is 48 feet. 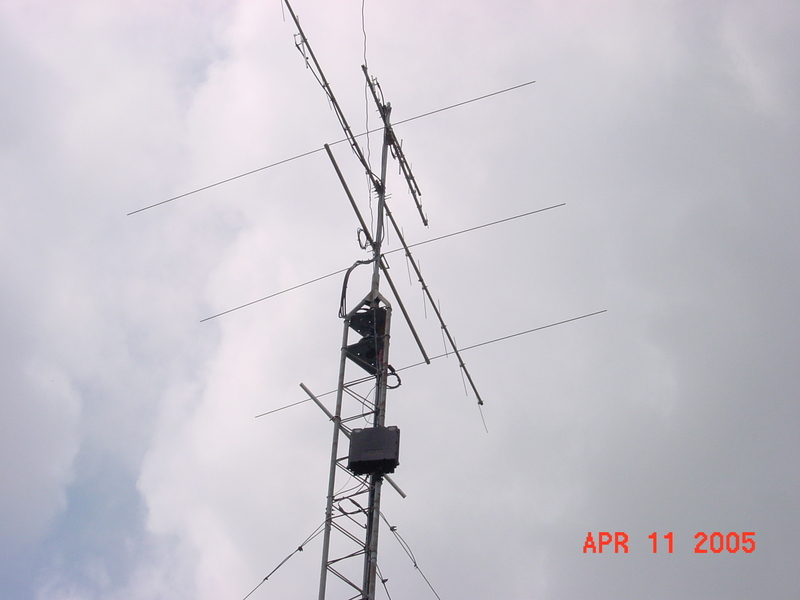 The second picture is of the AR-270B 2M/440 antenna that I use for local repeater work. 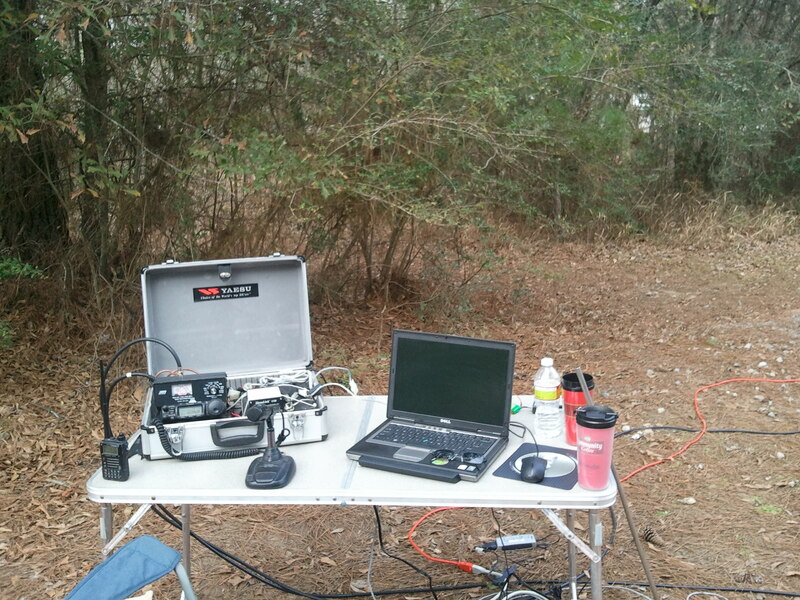 It sites on top of 24' hy-gain tower. 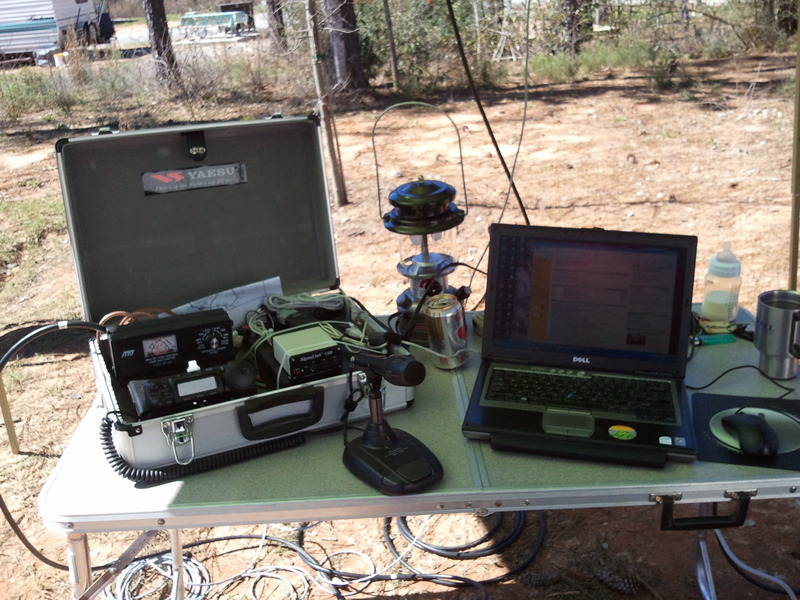 All of the antennas are fed with either 9913, RG-213 or RG-214 (220Mhz). This set up works fairly well. 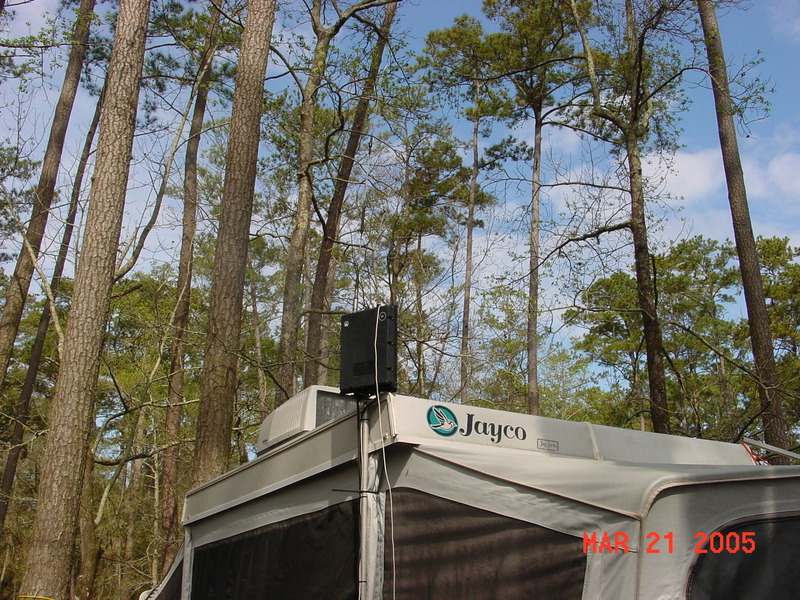 Hurricane Katrina didn't like the Rohn 25 tower and took it down. 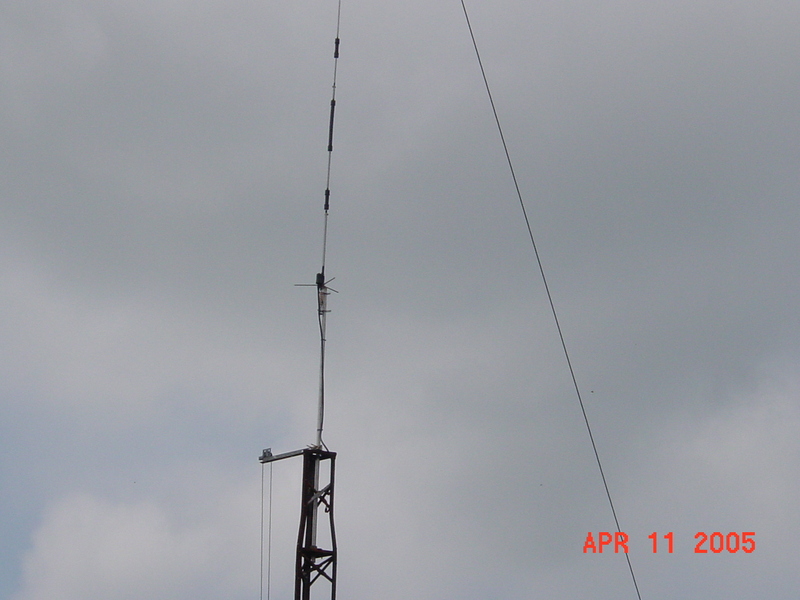 I have installed a Hy-Gain 52' crank up tower. 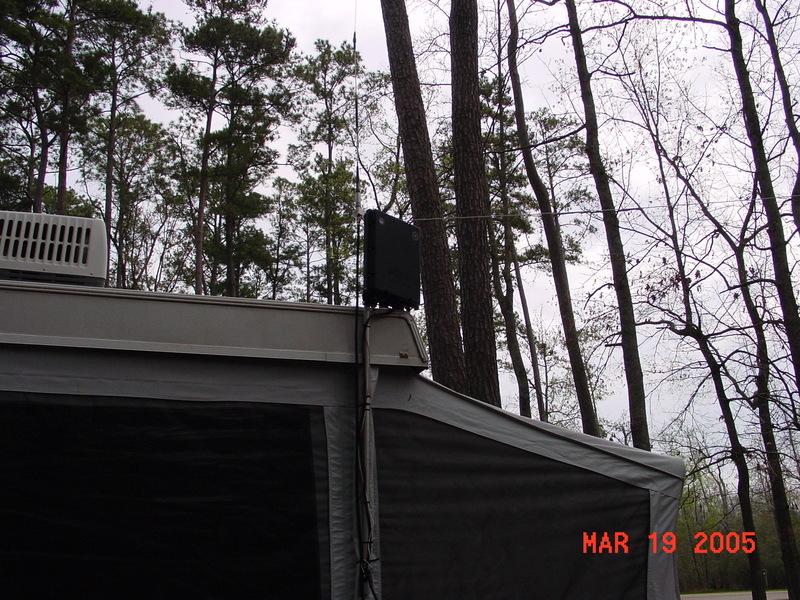 I have the following antennas installed. Please let me know if there is any needed information that is not here. I will be happy to send the "how I did it" info anytime.